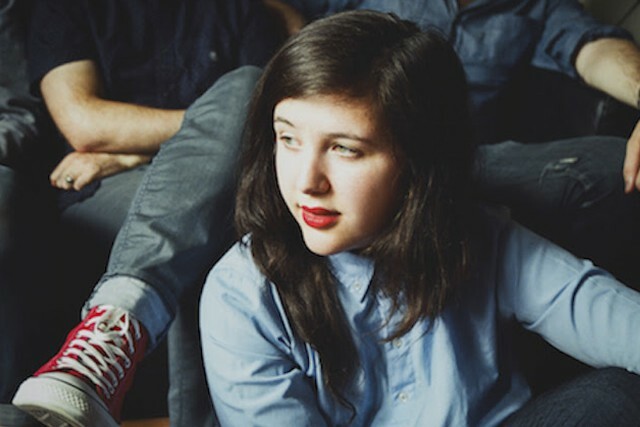 Lucy Dacus used to want to be a film director. Growing up in Richmond, Virginia, the 21-year-old singer-songwriter watched Alfred Hitchcock’s Rear Window and Federico Fellini’s Amarcord for inspiration. When it came time to apply to college, she “got a big ol’ scholarship” to attend Virginia Commonwealth University for film studies — but she only made it a year and a half, becoming disenchanted with film-world politics. But Dacus doesn’t feel like she gave up anything — quite the opposite. These days, she’s quickly gaining recognition for her husky, mature-beyond-her-years singing and hyper-observant songwriting, as evidenced on this past winter’s tender debut, No Burden, which will see a physical re-release via Matador on September 9. Sitting in a roped-off section of the Rough Trade venue, watching her band sound check hours before she’s due to play on an early-June evening, Dacus talks about how she grew up balancing her two creative loves. Eventually, her audience grew — so much so that Dacus decided to take a semester off from school to record No Burden and tour. And she hasn’t looked back since. “I left because the album came out better than we thought it would,” she says. Dacus originally intended to DIY-record No Burden and post it to Bandcamp as part of a school project for bandmate Jacob Blizard, but the group changed course and decided to put their effort into recording at a real studio. They teamed up with producer Collin Pastore, a mutual friend, and booked some time at Starstruck Studios in Nashville.